In the anniversary year of the founding of the Bauhaus, this colloquium at the Bauhaus Universität in Weimar, will bring together an inter­disciplinary community of researchers, providing a critical look back at the movement’s beginning. Marquise Stillwell, Executive Producer of The New Bauhaus, will travel to Germany to present our film-in-progress and screen a short sneak preview. Vielen danke. Join us for a behind-the-scenes look at the production process and research for the forthcoming 2019 documentary feature—called The New Bauhaus— by the New York-based film production team Opendox. The New Bauhaus explores the lasting legacy of the influential Chicago design school and its founder, László Moholy-Nagy. The program includes a screening of exclusive footage from the film project, slated to premiere worldwide in 2019, and a conversation about the school’s significance in Chicago and beyond, especially as it relates to women in design. Cooper Hewitt Senior Curator Ellen Lupton moderates a panel featuring the film’s director Alysa Nahmias, Moholy’s daughter Hattula Moholy-Nagy, and art historian Maggie Taft. This Art Design Chicago event is free and open to the public. Registration is required. Please join us for a preview of the feature documentary The New Bauhaus, at the home and grounds of the Frank House, drinks and hors d'oeuvres. The Frank House is a living Bauhaus museum and home of Alan Frank. Designed for Alan's parents, Cecelia and Robert, by Walter Gropius, who founded the Bauhaus in 1919, and one of his youngest and most talented students, Marcel Breuer, The Frank House had a vision for healthy, happy living and the integration of architecture and landscape. 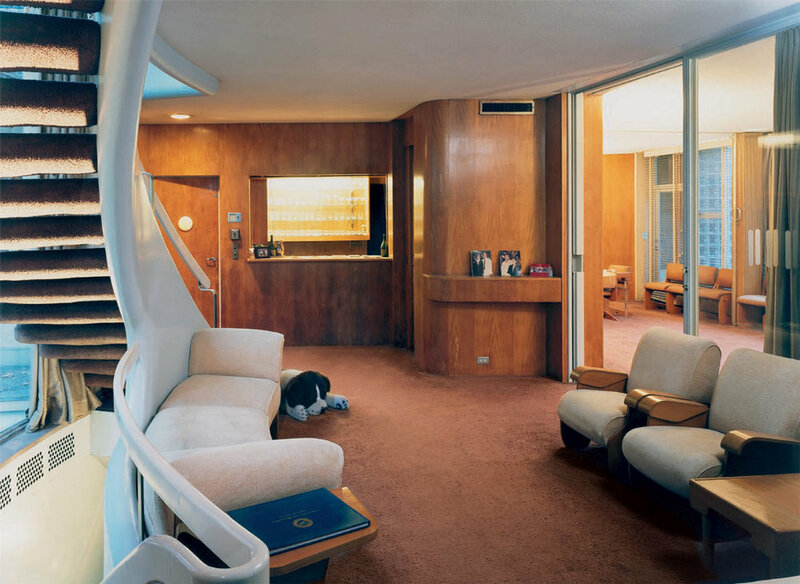 It features intact original fixtures, lighting and designs including the original of Breuer's curved, cantilevered stair—which he made a signature of his work–and Anni Albers textiles.